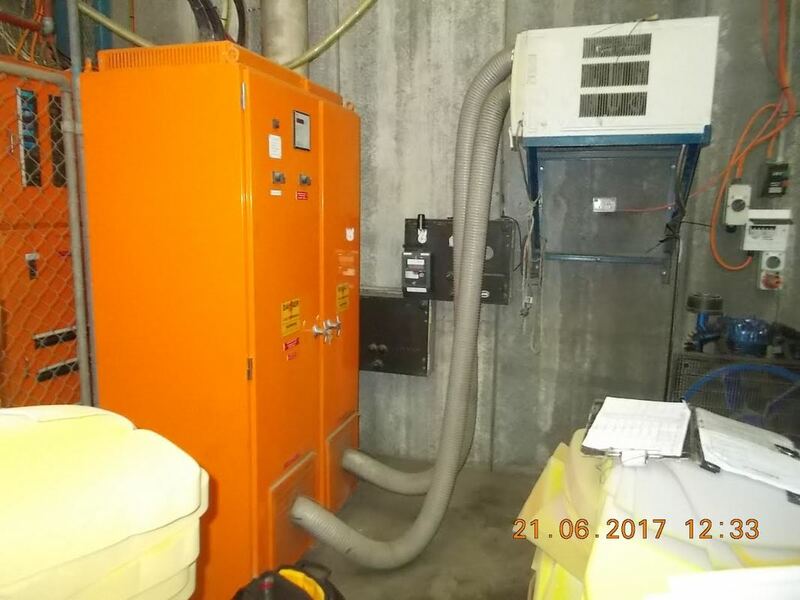 The plant engineer has a unique method to cool a PFC: A domestic air conditioner pumps cold air into the air intake areas of the PFC, this may indicate the PFC is overloaded or inadequately engineered. 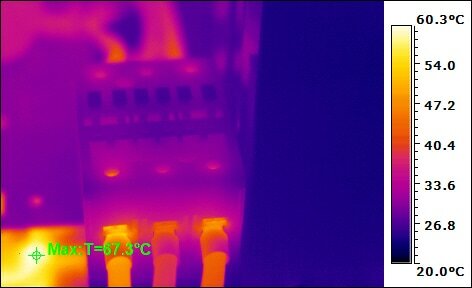 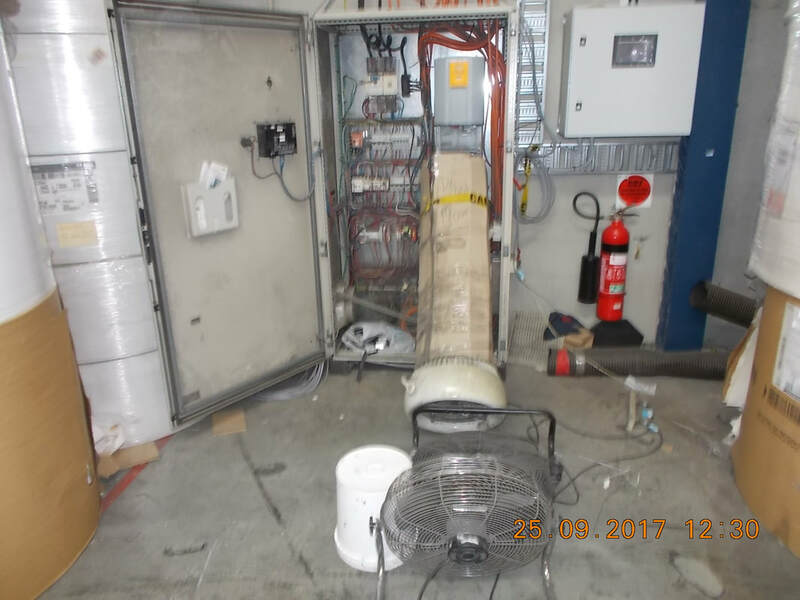 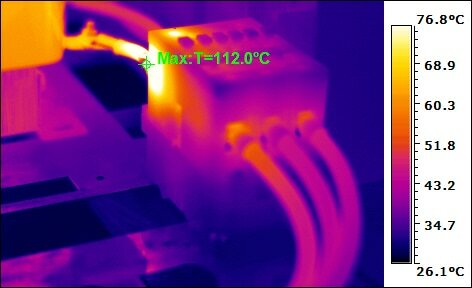 Note how a fan is being used to cool a variable speed drive (VSD). 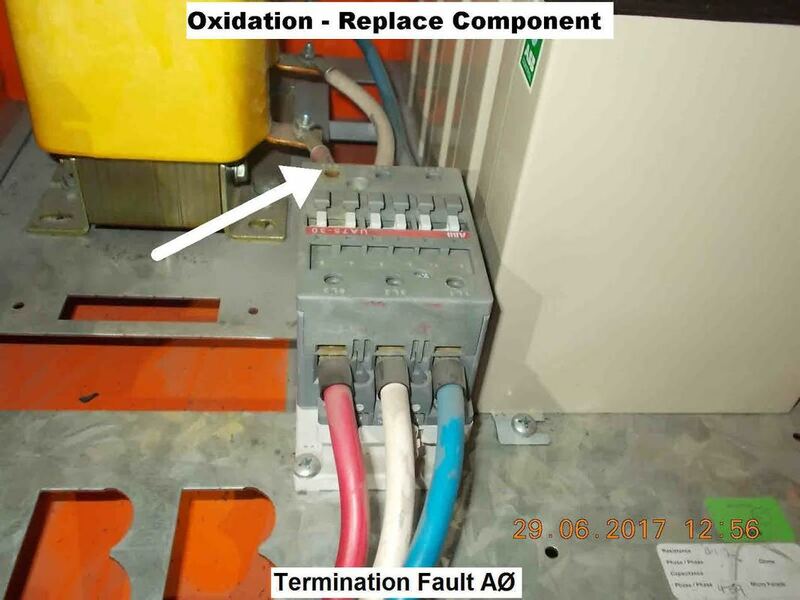 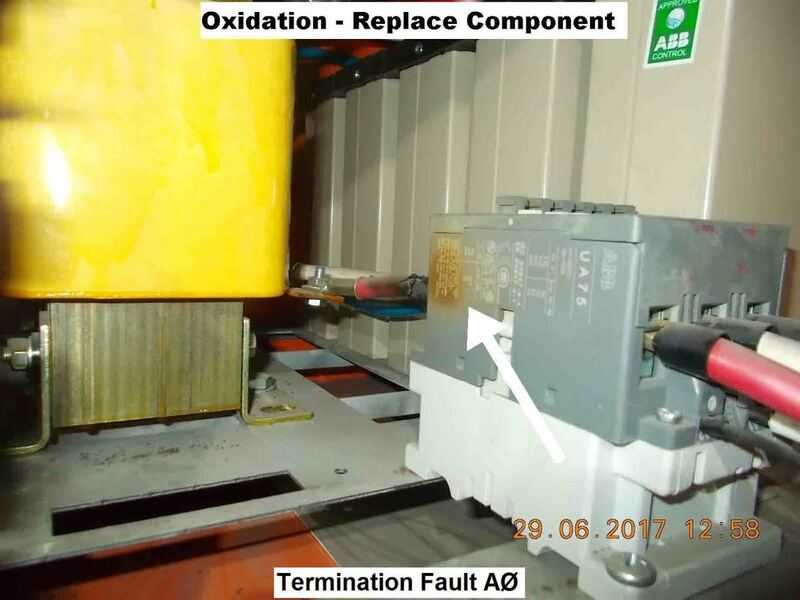 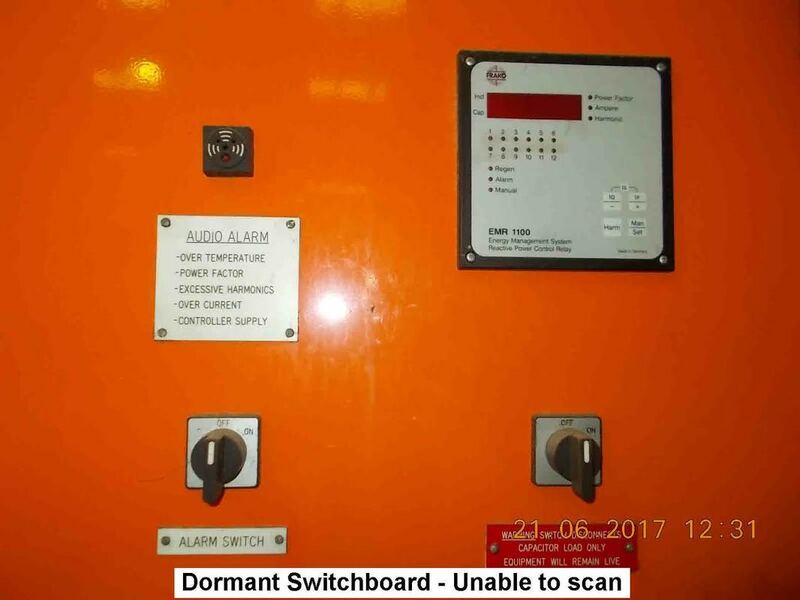 The open electrical box poses a hazard as live parts are exposed which could cause serious injury and major damage to the property.